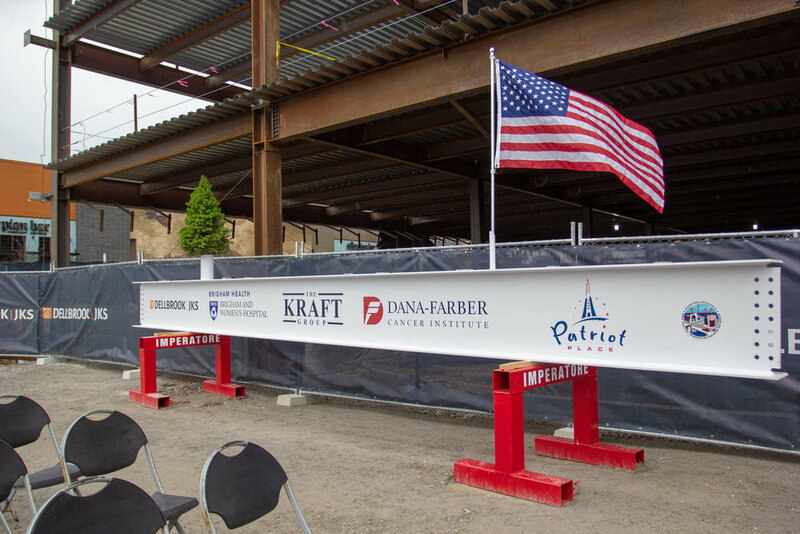 Topping Off Ceremony at Patriot Place's New Medical Office Building — Linea 5, Inc.
On May 4, 2018 Linea 5, Inc. participated in the topping off ceremony for the new Kraft Group medical office building at Patriot Place. 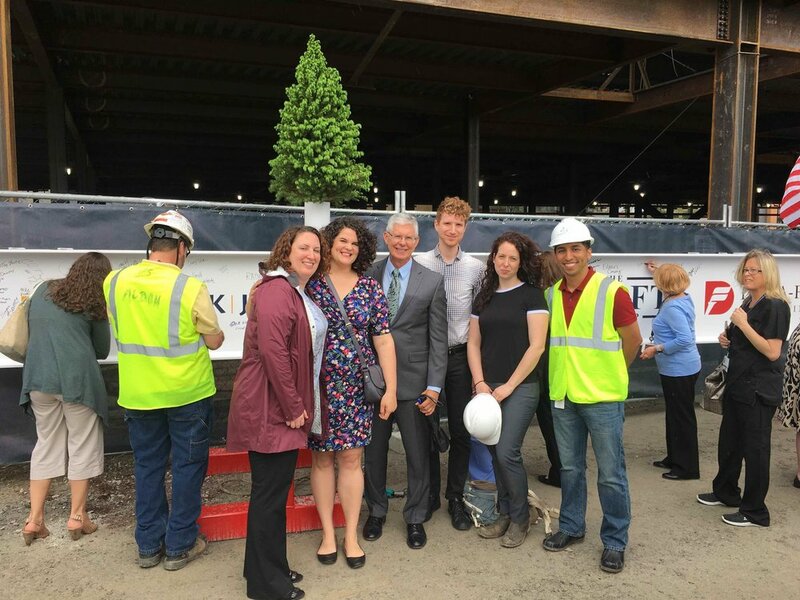 The five story 150,000 sf building will provide clinical facilities for Brigham and Women's Hospital, Dana-Farber Cancer Institute and a couple non-medical retail tenants on the first floor. 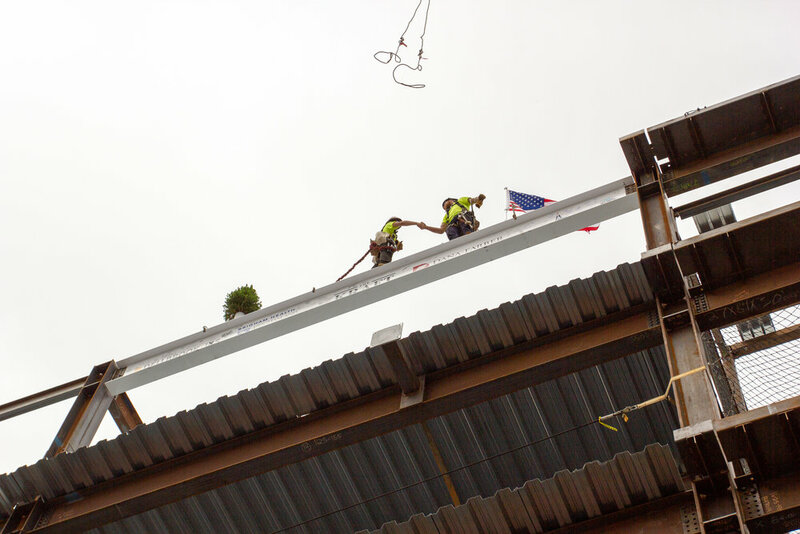 Linea 5, Inc. is providing full design services for the shell/core as well as the fit-up design for the medical tenants.